As any parent is all too aware of, the summer holidays are fast approaching. And if you haven't yet planned your family holiday for this year, why not consider a sun-drenched stay on the island of La Gomera? Canary Island holidays are perfect for anyone looking to lay in the sun, enjoy excellent food, and explore varying landscapes; leaving your children with some amazing memories to take back to school with them in September. The best thing about taking a family holiday at the Hotel Jardin Tecina this summer is that there are free kids’ places up for grabs. For every pair of adults that book a double room between the 1st of May and the 31st of October 2015, we’re offering a free spot for any child between the age of 2 and 12. This offer is sure to give you a smile as wide as that on your child’s face throughout their stay at the hotel. So what can children look forward to during their time at the Jardin Tecina? Here are just a few things they can get up to. During every day, and on Friday, Saturday and Sunday evenings, children can take part in the exciting activities happening in the kids’ club. These include things like playing video games, painting, bowling, darts and much more. Also, each day there is a mini disco where children can showcase some of their best moves and get into the party spirit. Whilst your child is having fun and getting to know other children of the same age, you can relax in the knowledge that the dedicated entertainment team will take excellent care of them. There’s also a free babysitting service for any children under the age of two, so you can have some time to yourself without having to worry. Crazy golf is sometimes part of the activities at the kids’ club, but you are also free to play a few holes whenever you like. Whilst there is a stunning 18-hole sculptured course for budding golfers, younger players and those looking for something slightly more leisurely can attempt the tricky crazy golf course. This is always a great way to spend the afternoon and the perfect chance for the family to get a bit competitive. 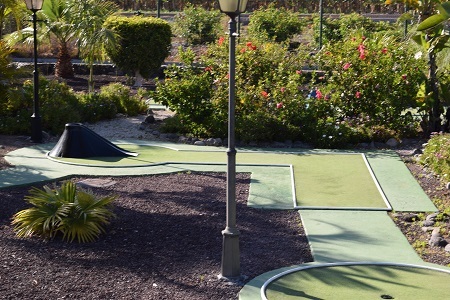 As well as the crazy golf course, there are a number of other sporting facilities at the Hotel Jardin Tecina. 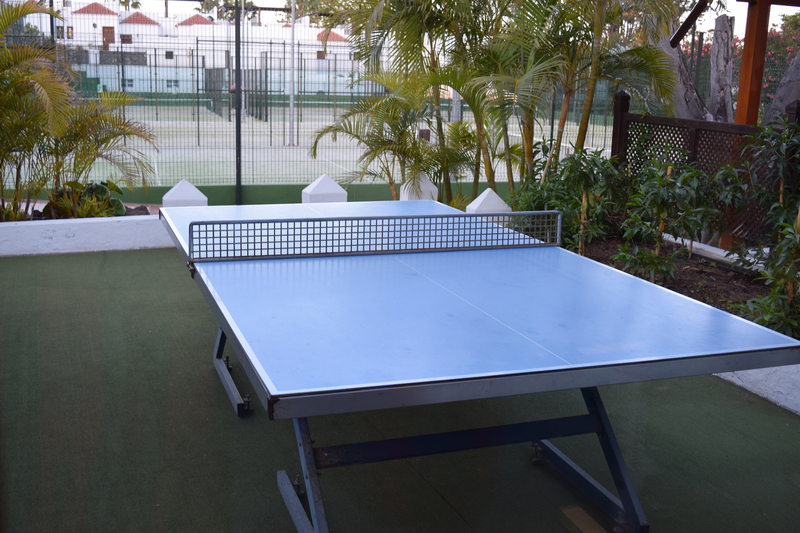 Along with a football court and volleyball area, your child can challenge you to a game of table tennis. It may be an unconventional sporting arena, surrounded by plants and bathed in glorious sunshine, but the action can still be as fast and furious as you like. And when you’ve finished playing the table version, you can graduate to the full-sized courts for a game of lawn tennis. 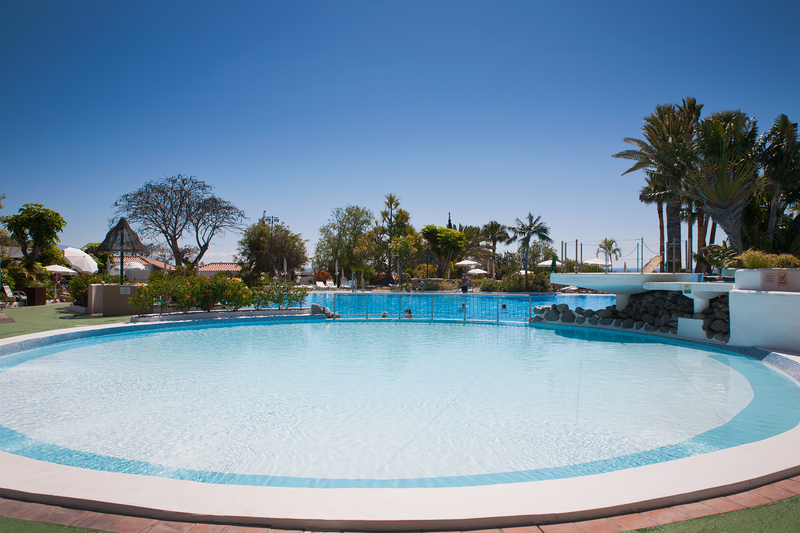 There are no less than five swimming pools within the resort; one of which is designated for children. This shallow pool will allow your little ones to cool off, without you worrying about them getting out of their depth. The other pools are close-by and there are plenty of sun-loungers so you can lay back and relax whilst still keeping an eye on them as they splash around to their heart’s content. There are also parasols to keep your children out of the scorching midday sun and lifeguards are on duty between 10am and 6pm. Although the holiday will be a break from school for your children, there is always room for some education in the field. 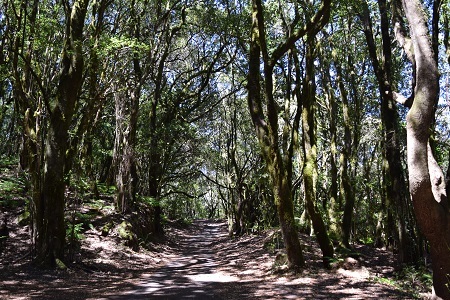 The island of La Gomera is perfect for exploration and with walking trails throughout the Garajonay National Park; you’re free to see what you can uncover. Whether your child is learning all about the endemic flora and fauna in the forest or discovering the places that Christopher Columbus visited in San Sebastián, it will be an exciting and cultural experience. San Sebastián, the island’s capital, was Columbus’s last port of call before he headed off to try and reach India. Here, he collected provisions and prayed at the Church of the Assumption before leaving. As you can see, there is plenty for children to get involved in at the Hotel Jardin Tecina. And with free kids’ places available, it’s the perfect destination for fun-filled family break this summer. To book, or for more information, call our knowledgeable team today.